If you are looking for plenty of room for you and your family- this is the house for you! With a total of approximately 5600 sq. 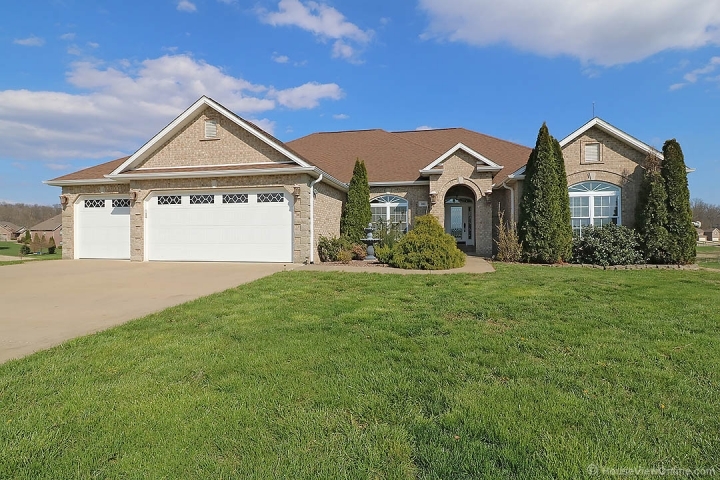 ft., this cozy home will be sure to check off many of your needs and wants: main floor laundry, separate dining room and eat in kitchen, 3 car garage, 5 total bedrooms (4 on the main floor), 4 full baths, all brick/stone, downstairs family room with wet bar, sauna, 1 acre lot, and spacious kitchen with granite counter tops. You must see for yourself to experience all the home has to offer. The neutral colors throughout are waiting for your touch! The house sits on a beautiful lot, and includes a spacious deck and patio to sit and enjoy the view. You will find it easy to store your outdoor “toys” in the extra garage space on the back of the house. Extra details and custom touches throughout the home make this a must see! Listed under last appraisal value, this one won’t last long!